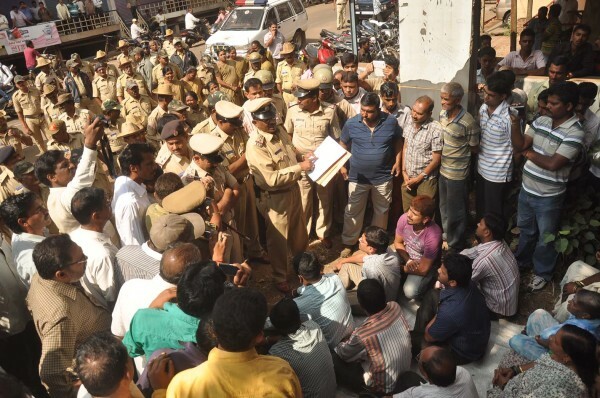 Residents of Sonar Galli Vadgaon protested against the opening of a new Liquor shop on Main road Vadgaon. The shop owner has got permission from the High court for the same but the residents are opposing the opening of new liquor shops in the area. Already there are 2 shops in the vicinity on the same road. Police protection had to be called in for as per the courts order but seeing the residents anger the police returned. So now its Legally illegal. A habitual boozer, will any way source the liquor by all means. Objecting a liquor shop will not help. Liquor shop is just a point of sale.. Objection should be liquor shop facilitating boozing in their premises. This rights is given only to bars.